It’s true, the president has had a big impact on crude prices. But not for the reasons he thinks. In fact, there’s likely to be a backlash over the way he has influenced the oil patch. Below, I examine the winners and losers of this current dynamic in the energy sector. President Trump has primarily influenced oil in two ways. One is that China, in response to the escalating trade spat, has stopped importing U.S. oil. Earlier this year China imported more than half a million barrels of day of crude oil from the U.S.
Loss of this export market has contributed to inventory growth in the U.S. — and hence to the drop in crude oil prices. Presumably, crude oil inventories are dropping elsewhere, but possibly in countries with less transparency about their inventories. There’s fear among some analysts that global demand may be slowing, but Reuters recently reported that China’s crude oil imports reached an all-time high in October. Consequently, despite the trade war, demand in China doesn’t appear to be slowing. But China is no longer getting its oil from the U.S.
Where is China getting its oil? Iran, for one. The most significant impact that Trump has had on oil prices is his administration’s actions on Iranian sanctions. Oil prices had risen about 50% over the past year because of the impending sanctions that were expected to take Iran’s oil off the market. Trump convinced Saudi Arabia to pump more oil to compensate for the imminent loss of barrels. But just ahead of the November 5 deadline, the Trump administration said it would grant waivers to eight countries, including China, to allow them to keep importing Iranian crude oil for now. The waivers allow these countries another 180 days to phase out their purchases of Iranian crude oil. Saudi Arabia wasn’t warned in advance that these sanctions would be given and the kingdom was reportedly angered by the move. The Saudis immediately announced that they would cut oil production in response and are attempting to convince other countries to go along with deeper cuts. As a result of this perceived betrayal, the Saudis in the future are less likely to trust the Trump administration. The desire to ease these tensions probably accounts for the White House giving Saudi Arabia a pass on the murder in October of journalist and dissident Jamal Khashoggi. So, sure, President Trump is partially responsible for the reprieve in oil prices. The cost of this has been the loss of a growing market for U.S. oil producers, a weakening of the sanctions against Iran, and an increase in mistrust from Saudi Arabia. Congratulations are hardly in order. There is one sector that should benefit from falling oil prices, yet it has fallen along with crude (and the rest of the stock market). The stocks of oil refiners had gotten quite expensive over the past year, even though they’re cash-generating machines. They had risen along with oil prices, but historically refiners do better when oil prices are falling. That’s because it’s harder for them to maintain their margins in a rising oil prices market than in one where prices are falling. Nevertheless, some oil refiners have shed a third of their value since the oil price drop began. The yield of one of the nation’s largest refiners, Valero (NYSE: VLO) has now risen to above 4%, a level that hasn’t been seen in nearly two years. Prior to the recent correction, Valero had tripled the performance of the S&P 500 over the past five years. Continuing volatility in the energy market is a concern; a major sell-off could take refiners even lower. 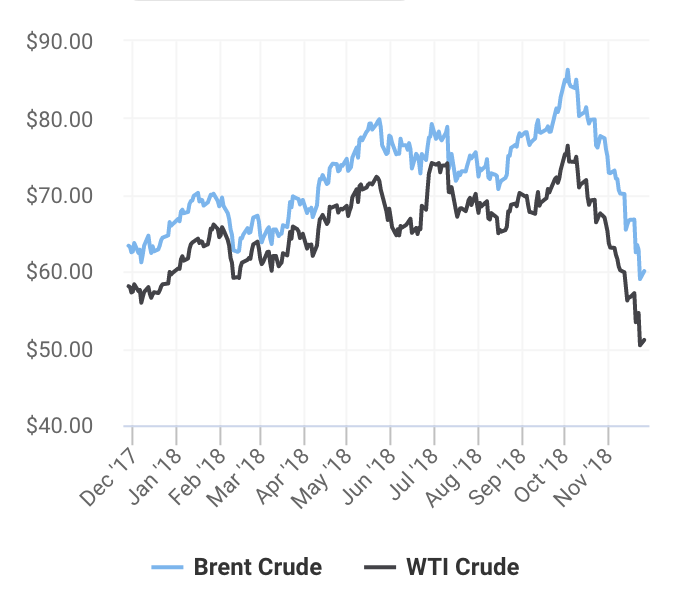 But right now, the refining industry represents a significant disconnect to the rest of the energy sector given the sharp sell-off in oil. Bargain hunters, take notice.